Just the facts please. That’s what we would like from oral health brands, so we can decide which to become loyal to. Instead we get clever ads and a multitude of toothpaste to choose from. In this article you will get the facts from an expert. What exactly do you want in toothpaste? 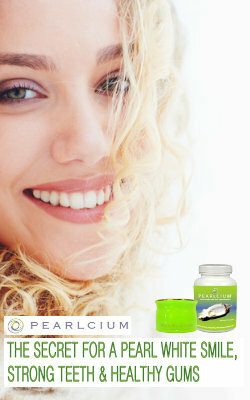 Do you look for natural toothpaste, organic toothpaste, whitening toothpaste, toothpaste for sensitive teeth, etc, etc. On the surface, we all want whiter teeth, free of halitosis (bad breath). In addition, a healthy mouth means a positive, healthy report card from your dental visits. Most people do not realize the Food and Drug Administration does not regulate personal care products, including toothpaste. They do mandate a warning if it contains any active ingredients, such as fluoride. The American Dental Association seal on most commercial toothpaste means the fluoride type and amount in that product follows the ADA guideline. Contrary to general belief, it is not an endorsement of the toothpaste. Unless you are a chemist, you will likely buy your toothpaste because you like the taste or how it makes your mouth feel, and not for effectiveness. However, toothpaste ingredients are extremely important. The mouth is one of the fastest ways to absorb anything into the body. Pain and certain heart medications are administered sublingually or under the tongue, for fast delivery to your body. Your toothpaste ingredients are also absorbed, especially if you have any level of bleeding gums. This can be a problem depending on the ingredients, especially since toothpaste is used daily. Below is a list of common ingredients in toothpaste followed by some of the popular brands they are found in. You be the judge which to buy for you and your family. Saccharin—Found in most commercial brands, this artificial sweetener has gone on and off the FDA list for health safety. Antimicrobials—Natural or synthetic antimicrobials include tea tree oil, alcohol and triclosan, among others. Today antimicrobials can be found in many products such as deodorants, dish soap, hand and body soaps, shampoos, etc. The Center for Disease Control warns that with over use, antimicrobials could result in antibiotic resistant bacteria. Unless prescribed by your dentist for a specific time, daily use of antimicrobials is not warranted. Colgate, Tom’s of Maine, Crest are some popular brands with natural or synthetic antimicrobials. Chlorine dioxide—This industrial bleach is used for bleaching wood, flour, and disinfection of municipal water. CloSYS is one of the brands with this ingredient. Sodium lauryl sulfate (SLS)—SLS is an industrial detergent that may cause canker sores, dry mouth and allergies. Most commercial brands, including Tom’s of Maine, contain SLS. Sodium hydroxide—NaOH, also known as lye or caustic soda, is a metallic base used in textiles, drain cleaners and industrial detergents. It’s very alkaline and helps dissolve proteins upon contact that form on teeth and gums. Salicylates—Allergic reactions to products are becoming very common. Salicylic acid, the common aspirin ingredient for inflammation, could be one of the causes. 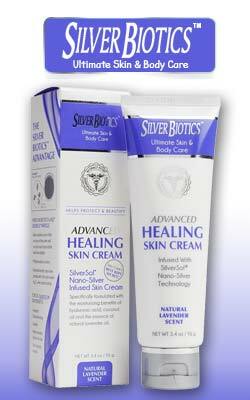 Always look for salicylate free products. Mint, the most common toothpaste flavor, has one of the highest levels of salicylates. Herbal extracts—Herbs have side effects and can cause side effects when taken with over-the-counter or prescription medications. With frequent use, they could also be the cause of allergies. Many products add herbal extracts and oils for marketing and call their products natural. PEG/PPG—Polypropylene glycol is a surfactant used as a wetting agent, dispersant and in leather finishing. Numerous toothpaste including Arm & Hammer, contain PEG/PPG. Hydrogen peroxide—Is helpful if certain fungal infections occur in the mouth. With regular long-term use, harmful free radicals may occur causing sloughing of the tissues. Many teeth whitening toothpaste contain hydrogen peroxide. Triclosan—Reports suggest this antimicrobial ingredient can combine with chlorine in tap water to form chloroform, which the U.S. Environmental Protection Agency classifies as a probable human carcinogen. Hydrated silica—Found in many toothpaste for whitening, this abrasive may harm the surface of tooth enamel. Potassium nitrate—Used in toothpaste for sensitive teeth, it blocks the transmission of nerve cells within teeth and gums. Also used in gunpowder. Fluoride in Toothpaste, is it Essential? Fluoride has been controversial for many years, in fact, since it was first found to help prevent tooth decay in the 1920s. Some would even go as far as stating this is the one important must have ingredient in toothpaste. Fluoride is a naturally occurring mineral, however it does occur in small amounts in plants, animals and natural water sources. It is not considered to be essential in the diet. The most common forms used in toothpaste in the United States are sodium fluoride (NaF) and sodium monofluorophosphate (Na2PO3F). The usual concentration used is 1000 to 1100 parts per million fluoride ion. Makes the tooth more resistant to acid attacks that are found in plaque. Plaque is the film that forms on your teeth within six hours after brushing. Recent studies indicate the bacteria live in sophisticated colonies called biofilm with a network system of communication. The biofilm protects the bacteria and makes it difficult to be destroyed by antibiotics. Fluoride can help sensitive teeth, if the cause is exposed root surfaces due to gum recession. If you suffer with receded gums and sensitive teeth, concentrated fluoride applications at home may be helpful. The negative side of fluoride is with children. Under the age of four, spitting is not yet a learned action. Most children tend to swallow their bubble gum, glittery toothpaste. This is why there is a warning on the back of all toothpaste that contain fluoride. The warning states to keep out of reach of children under the age of six. And to contact your health professional or the nearest poison control center if more than used for brushing (pea size) is swallowed. If a child under the age of four swallows half a tube of fluoride toothpaste, the result could be fatal. The good news is that recent studies with chewing gum have demonstrated the tooth decay prevention capabilities of xylitol. The reports have shown that chewing xylitol gum for five minutes, three times a day, helps reduce tooth decay significantly. This natural sweetener is also being tested with toothpaste for the same results. Xylitol is safe if swallowed. It also has the added benefit of stimulating salivary flow. Saliva helps neutralize harmful acids and keeps plaque at minimal levels. Dry mouth, that is low in saliva, may lead to gum disease and tooth decay. Abrasive toothpaste can cause sensitive teeth. Compare the chart below for toothpaste abrasiveness, which is measured by the American Dental Association standard known as the Relative Dentin Abrasion of Dentifrice (RDA of Dentifrice). The standard set for non-abrasive is less than 100. Too far below 100 may not adequately remove plaque, and higher than 100 is considered abrasive. Before choosing your toothpaste, take into consideration the ingredients and abrasiveness. Next Article Your teeth and aging: Will you be toothless?